Contemporary clear glass and brass frame. 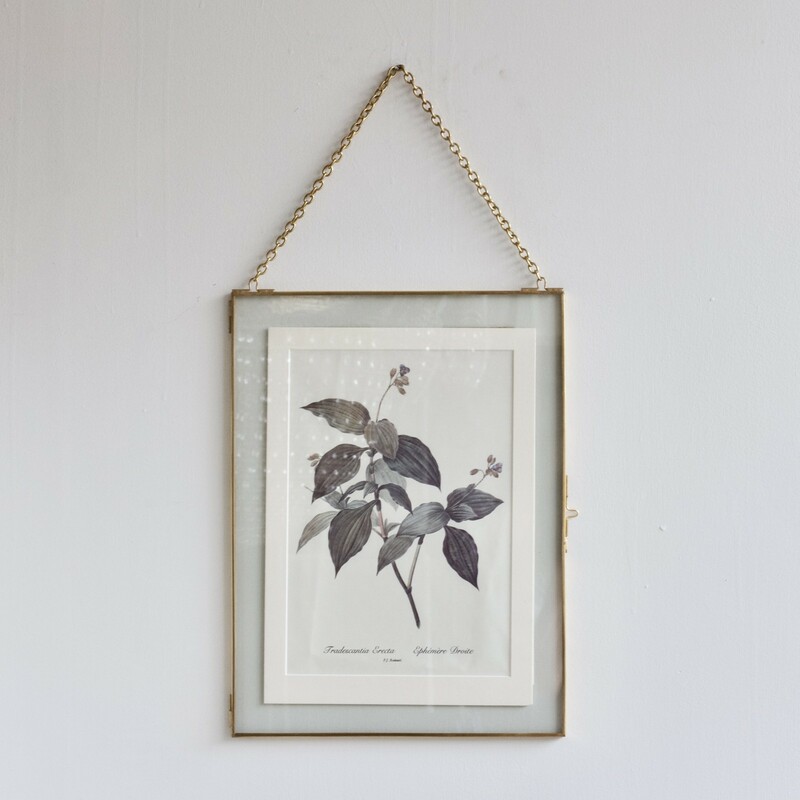 Perfect for unframed prints, photographs or even pressed flowers. Suspended from brass chain with a pin hinge for easy opening.